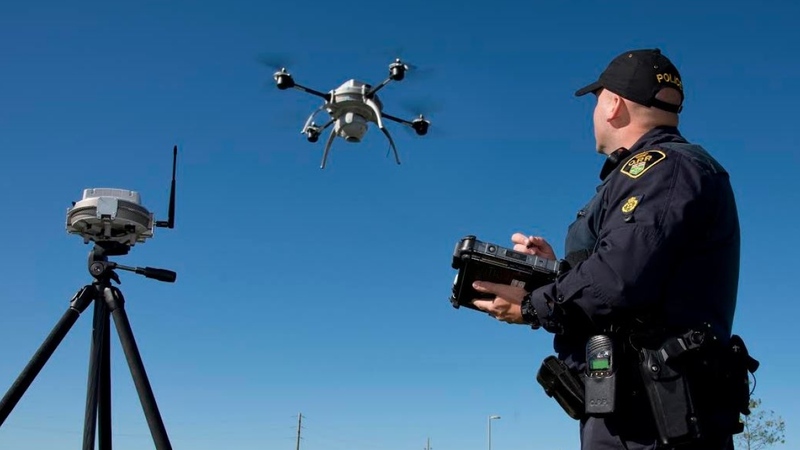 TC is letting the RCMP, Ontario Provincial Police and the Renfrew County paramedic service conduct beyond-line-of-sight operations and soon some private firms will also be allowed. The trials could lead to new regulations governing that sort of operation. “There’s no doubt we are leading a regulatory revolution in aviation,” said Renfrew’s paramedic chief Michael Nolan. “We know that minutes cost lives and being able to deliver a defibrillator and save time, will save lives.” Although the potential for collision with manned aircraft tends to grab the headlines, there’s a more basic concern for TC and the operators. “You don’t want this thing falling out of the sky and injuring anyone or causing further harm,” said Brian Leahey, Renfrew County’s deputy chief of paramedic services.